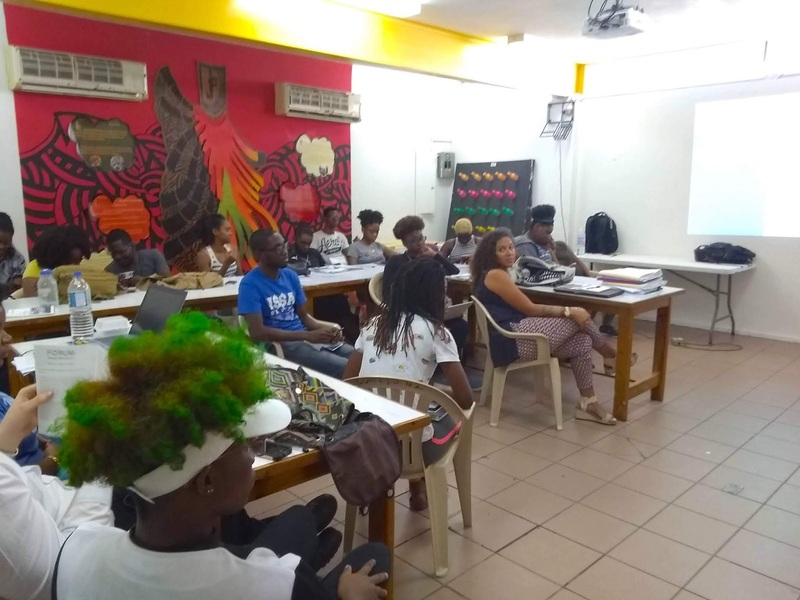 We continued our 'Life After Art School' series on January 22nd with the current group of final year students at The Edna Manley College. Acting Head of the Art History Department at the College, Dr. Petrina Dacres invited us the Research Methods she co-teaches with Dr Katie Dieter. We discussed options and strategies in an art career after leaving art school including education pathways, residencies, collectives and community and online presence. Deborah Carroll Anzinger of NLS Kingston also joined us to share new funding and research opportunities and how to apply to an art residency like the newly funded NLS Artists Residency.